Christopher Columbus as born in 1451 and died in May 1506. He was a famous explorer and trader whose most significant voyage was crossing the Atlantic Ocean and landing in the Americas on October 12, 1492. Although his actual nationality is a question of debate, this most famous voyage was done sailing under the flag of Castilian Spain. Columbus is the man most often believed as to having 'discovered' America, although there is evidence that other explorers had made the crossing before him. It was after Columbus' crossing that marked the start of the Spanish and Portuguese colonisation of South America. Like many of the educated people of the period, Columbus believed that the earth was spherical in shape. He argued that he would be able to reach the Far East plotting a westward course. His main opposition to his notions was not that others believed the earth to be flat, but that nobody knew if it was possible to sail around the world without running out of food or running into windless areas. Columbus ' early career started in 1474, nearly 20 years before reaching America. He spent a year on a Genoese backed ship bound for the island of Khios, in the Aegean Sea and it was while he was there, he began to recruit sailors of his own. Two years later, Columbus embarked on his first foray into the Atlantic Ocean, which, sadly ended off the Cape of St. Vincent in Portugal, when his fleet came under attack from French Privateers, who burned his ship and Columbus was forced to swim six miles back to shore. After this, he settled in Lisbon, in Portugal, which had become a hive of maritime activity with ships setting sail to destinations across Europe and Africa. Columbus worked for some time with his brother as a draftsman, but soon returned to the sea, joining a Portuguese fleet bound for Iceland, Ireland and also West Africa. There are two sides to Columbus - some view him as a man who, through his explorations, encouraged a Western expansion. Others, however, see him as being responsible for the deaths of many indigenous people, through the European exploitation of the continent and the West Indian slave trade. One of Columbus' conditions with the Spanish monarchs before his voyages was that he claimed governorship of the new territories. Columbus was an excellent navigator, but his administrative skills were poor and he was soon stripped of his governorship in 1500. Christopher Columbus was always a very religious man, and he would often give 'the conversion of non-believers' as one of the reasons for his explorations. In later life Columbus grew even more religious and took to wearing a Franciscan habit. He would claim to hear divine voices and even lobbied for a new crusade to capture Jerusalem. 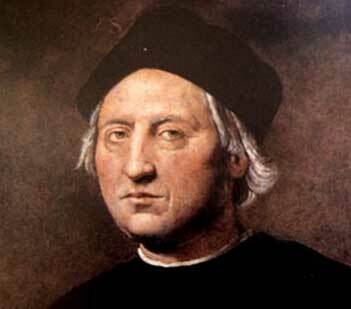 Christopher Columbus died in Valladolid on May 20, 1506. He was quite a rich man thanks to all the gold he had gathered in his earlier years. After his death, his body underwent excarnation - where the skin is removed so only bone is left. He was first interred in Valladolid and was then moved to a monastery in Seville . At the behest of his son, Columbus' remains were then moved to Santa Domingo. When the French took over 200 years later, he was moved to Havana, and then in 1898 after Cuba's independence, they were finally moved to the cathedral in Seville.